Reserve your FREE seat for PlantPure Summit 2016, a 10-day online series revealing how the plant-based lifestyle movement is radically improving healthcare. Discover the challenges doctors face in promoting the power of plant-based nutrition to prevent and even reverse our top chronic diseases. Learn how healthcare professionals and organizations are using ‘lifestyle medicine’ to transform healthcare. 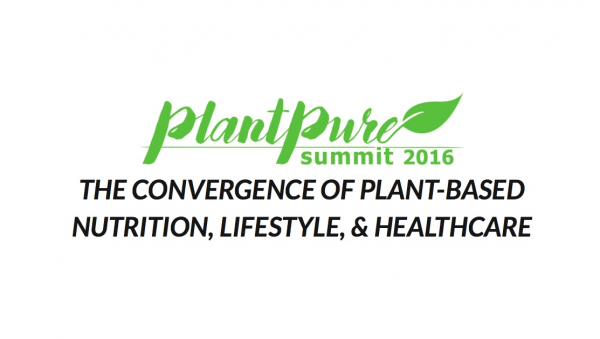 Join us as we bring together healthcare industry, experts, and organizations from around the world, to promote using proven plant-based nutrition and lifestyle changes in our fight against Heart Disease, Type II Diabetes, Cancer, and Obesity. Stephan Esser, MD is a physician, author and motivational speaker specializing in sports medicine and lifestyle modification. He is dedicated to empowering individuals to achieve their best health and maximize fitness, fun and function. Dr. Esser completed a Bachelor of Science at Palm Beach Atlantic University, Medical School at the University of South Florida College of Medicine, a residency in Physical Medicine and Rehabilitation at Harvard Medical School/Spaulding Rehabilitation Hospital, and a Fellowship in Sports Medicine at the Mayo Clinic in Jacksonville, FL. He currently works as the Sports & Spine Physician with Southeast Orthopedic Specialists in Ponte Vedra Beach, FL. Prior to his career in medicine he was a competitive tennis player, achieving a ranking of #1 in the US in Men’s Open Doubles (2002).